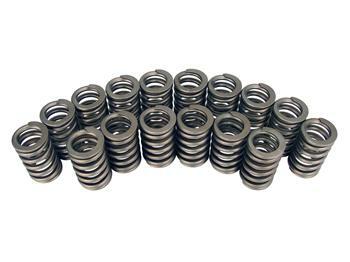 COMP Cams Ovate Wire Springs are constructed from oval shaped wire as opposed to round. The unique oval shaped wire means there is more material occupying the same area than round wire springs to more efficiently distribute the operation stresses. Engineered with advanced processing techniques for longevity and reliability, Ovate Wire Springs are free of life-shortening surface defects.